Hurricane Dennis was the second hurricane and the first major hurricane of the 2005 Atlantic hurricane season. 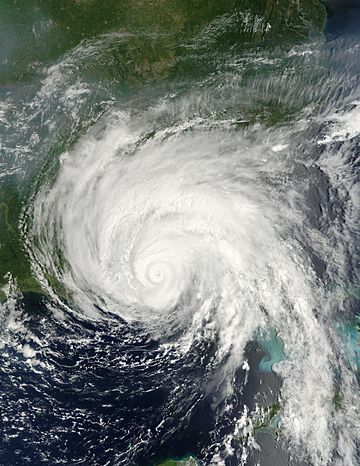 Dennis struck in the United States near where Hurricane Ivan less than a year before. On July 10 Dennis became the strongest hurricane before August, this record was held by Hurricane Audrey in 1957, meaning the record was not beaten for 48 years. Only six days later, July 16, Hurricane Emily because even stronger then Dennis, therefore beating the record again. Dennis left 89 deaths and $4 billion in damage. Because the damage was heavy the name Dennis was retired. In 2011 the name Don is on the list instead. A beachfront home in Navarre Beach, Florida largely destroyed by Hurricane Dennis. Hurricane Dennis Facts for Kids. Kiddle Encyclopedia.